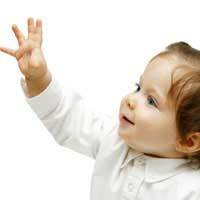 Home > Speech & Language 0-3 > Can Baby Sign Language Delay Speech Development? Baby sign language classes are widely promoted as being great for babies and parents, as babies can learn signs to communicate with before they’re able to fully talk. But could the use of baby sign language end up delaying a child’s development of speech? Exponents of baby signing widely extol the benefits of the technique, claiming that it can aid non-verbal communication, especially in the time during which babies are unable to vocally express their desires. Whilst there is no doubt that this is the case and the signing method can open up a valuable stream of communication, some parents worry that using baby sign language could be discouraging or delaying their children from learning to talk. Baby signing classes are available for parents to attend with their little ones and they can go from about six months of age. Every child is different in terms of when they actually start using the signs themselves. Some start early, within a few months of being exposed to the signs, whilst others may not really begin to pick them up until they’re one and a half to nearly two years old. This is where the concerns of some parents lie. Baby signing tutors emphasise the benefits of the communication method for non-verbal communication, but by the time they’re reaching two years or older, shouldn’t children be focusing more on actually beginning to learn to say words, rather than signing them? It’s not helped by the fact that not everyone who’s in contact with the child knows the signs. It may be fine at home, but if they’re with their grandparents, other family members or friends and they don’t know the signs, then the object of the communication is somewhat defeated. If you’re worried that using baby sign language may be dissuading your child to have a go at talking, then are steps you can take to help this. When you’re signing, always remember to say the word too – as you should be taught at baby signing classes – and be sure that your child can see your face as you say the word, as well as hear it clearly. If you think they’re relying too much on signs, then focus more on speaking, rather than signing. Take time regularly to try and encourage your child to learn to say words. For example, you could say one new word a day and see if your child will have a go at repeating it. If they’re not keen, then don’t push the issue. Many children will learn and pick up speech and talking in their own time, but if you are worried that their speech is delayed, then speak to a health visitor or doctor for advice. In the majority of cases, it may be nothing to worry about.